An infant's survival at birth and through the first year of life depends not only on the mother's health during her pregnancy, but the availability of a knowledgeable birth attendant, a supportive post-birth environment and proper information regarding nutrition, particularly breastfeeding. Here are two articles posted within days of each other concerning the need for breastfeeding and midwife training in Haiti and Zambia respectively - one a story of success, one calling for more education. 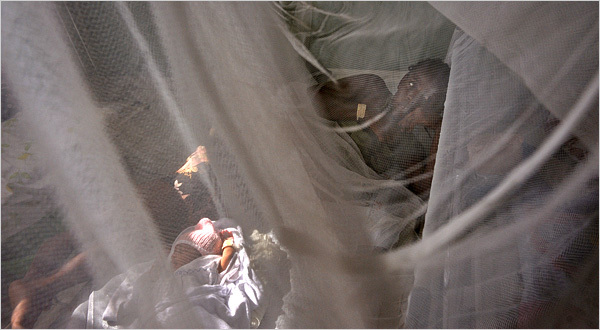 VULNERABLE A maternity ward in Haiti, where "bad milk" is a common idea. I got up and walked over to the hospital entrance. Because the emergency room had only two beds, and the hospital itself had limited resources, patients were sent through triage at the gate, and only those who could be treated were brought in. The others were turned away to seek care elsewhere. Arriving at the gate, I could already smell the sharp odor of diarrhea. A young woman was holding a baby wrapped in a stained and tattered blanket. From the interpreter, I learned this was a 5-month-old boy with watery yellow diarrhea, vomiting and a decrease in oral intake during the previous four days. Opening the blanket and looking at him, I was amazed that he was still alive. His chest looked like a chicken breast picked clean of meat. His mucus membranes were pasty dry, his eyes and fontanel were sunken and his skin hung off his arms and legs as if it were three sizes too large. At 5 months he weighed less than four and a half pounds. The gastroenteritis, it turned out, was only what had tipped him over. On further questioning we learned that his mother had stopped nursing shortly after he was born because her “milk was bad,” and had been bottle-feeding him with watered-down 7Up soda. The Haitian belief in “bad milk” — “lèt gate,” in Creole — is well described by Paul Farmer in his book “Partner to the Poor” (University of California, 2010). It is one of the main reasons for the premature stopping of breast-feeding in Haiti, often with deadly consequences for the infant deprived of safe and dependable nourishment. Each day Denise pleaded with her to try to nurse. On the third day, the maternal grandmother came to visit and had a long conversation with Denise, asking whether her daughter’s milk was somehow tainted. Denise assured her it was not. The next day the mother agreed to try nursing her son. He had difficulty latching on, and she expressed a small amount into a bottle, which he eagerly gulped down. The difference between breast milk and calorically depleted drinks, or formula prepared from water potentially contaminated with organisms that cause diseases like cholera, can be a matter of life or death. And so encouraging this young mother to give her son the sustenance he needed was a potentially lifesaving intervention, achieved through patience, education and the building of trust. Giving midwives simple training has already been shown to save newborns’ lives, and a new study in Zambia has found that it can be remarkably cost-effective as well. Even a small pilot project costing only $20,244 saved the lives of 97 infants, the authors estimated, meaning that it cost just $208 per life saved. The study, published online in April in the journal Pediatrics, was paid for by the National Institutes of Health and the Bill and Melinda Gates Foundation, and conducted by American and Zambian university and government doctors. The midwives normally handled births that were expected to be uncomplicated, with women typically going home with their babies after one night in the clinic. The researchers compared survival rates among 20,000 babies born before the teaching and 20,000 afterward. The first-week death rate among babies had dropped by almost half, they found, to 6.8 deaths per 1,000 live births from 11.5 deaths. Past studies have suggested that the single most important aspect of training, in terms of saving lives, is to teach midwives that an infant who is not breathing at birth can be revived with quick action — by massaging to prompt it to inhale, or using a simple resuscitator.